When mobility and durability matters the most Fjallraven steps up and delivers the superb Keb Jacket. 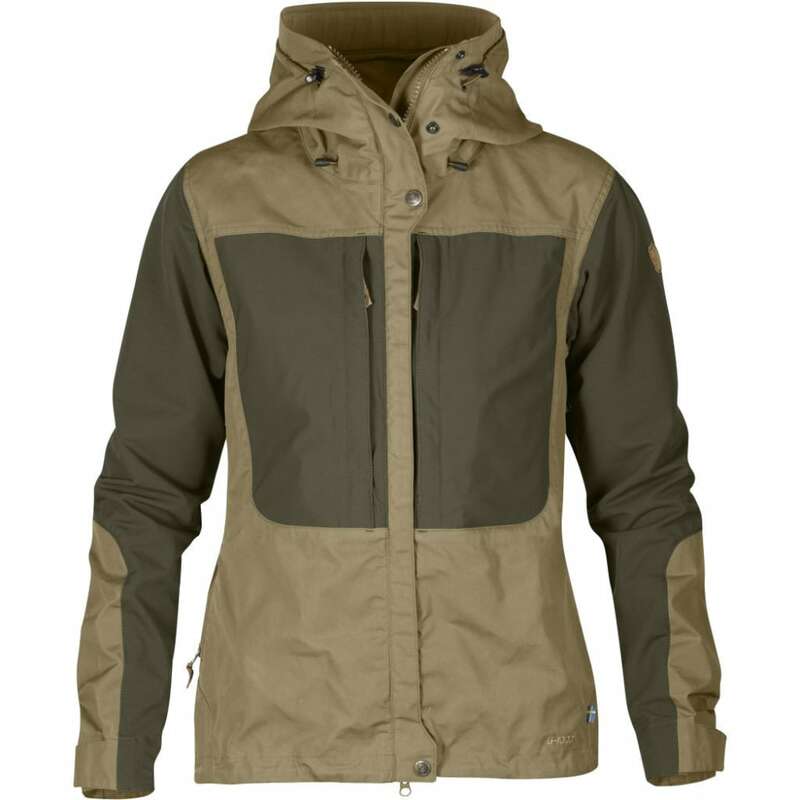 This jacket has been carefully designed to be well-ventilated, and water and wind resistant. Stretch fabric across the back, on the arms and pockets. Seams that have been moved forward so they do not interfere with hip belts on backpacks. The brim of the hood has a brass wire and can be folded back at different positions, depending on whether you want maximum protection from the wind or more peripheral vision. Ventilation openings under the arms with two-way zippers release excess heat. Drawcord at the bottom hem and Velcro at the sleeve cuffs.